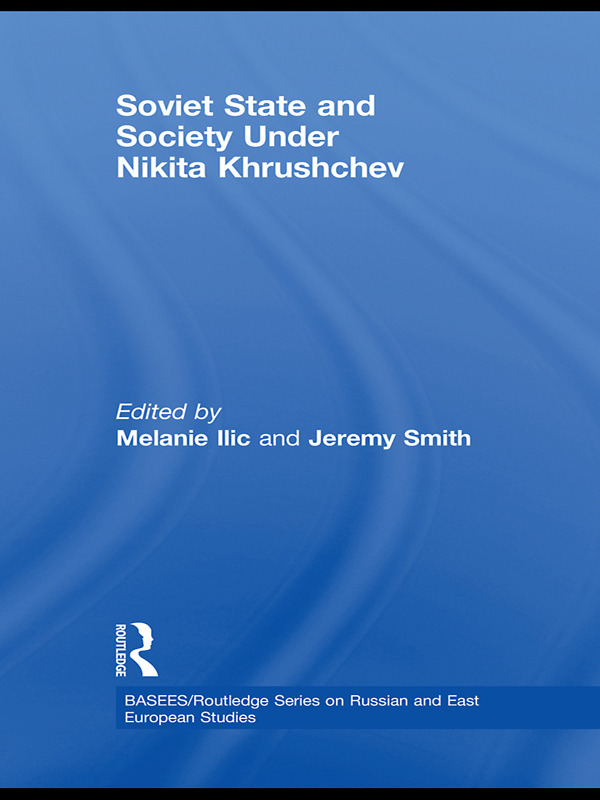 This book examines the social and cultural impact of the 'thaw' in Cold War relations, decision-making and policy formation in the Soviet Union under Nikita Khrushchev. It highlights the fact that many of the reform initiatives generally associated with Khrushchev personally, and with his period of office more generally, often had their roots in the Stalin period both in their content and in the ways in which they were implemented. Individual case studies explore key aspects of Khrushchev's period of office, including the introduction of the 1961 Communist Party Programme and popular responses to it, housing policy, the opening up of the Soviet Union to the West during the 1957 youth festival, public consultation campaigns and policy implementation in education and family law, the boost given to voluntary organisations such as women's councils and the trade unions, the reshaping of the internal Soviet security apparatus, the emergence of political dissent and the nature of civil-military relations as reflected in the events of the workers' uprising in Novocherkassk in 1962. The findings offer an important new perspective on the Khrushchev era. The Soviet military at Novocherkassk: The apex of military professionalism in the Khrushchev era?